Genting Berhad saw its revenue grow 10% to RM5.3 billion for the three months to 31 March 2018, boosted by its leisure and hospitality segment and in particular strong results at its flagship integrated resorts in Malaysia and Singapore. Malaysia’s Resorts World Genting (RWG) enjoyed the biggest jump, with revenue rising 19% to RM1.6 billion, while Resorts World Sentosa (RWS) reported last week a 9% increase in revenue to RM2.0 billion for the period. The Asian business comfortably offset declines in both the UK and US markets where revenue declined 12% and 9% respectively. Segment-wide revenue included RM3.5 billion from gaming and RM888.1 million from non-gaming. In its quarterly report, Genting Berhad attributed its positive results to a significant upsurge in its mass and premium mass business. “RWS recorded higher revenue and Adjusted EBITDA in the current quarter on the back of healthy growth in volumes across all major business segments,” it said. “The ongoing strategy to focus on affluent regional business proved to be effective as the mass and premium mass business continued to deliver encouraging results. “The Lunar New Year period saw bustling VIP rolling volume, notwithstanding a calibrated credit risk model. Non-gaming business also recorded improved performance with daily average visitation exceeding 18,000 across the attractions and the hotels achieving a high occupancy rate of 94%. 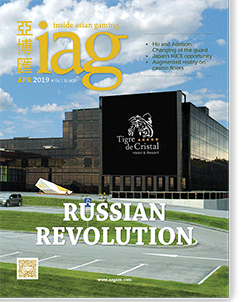 “The increase in revenue from RWG was due mainly to overall higher business volume from mass to premium segments of the business. 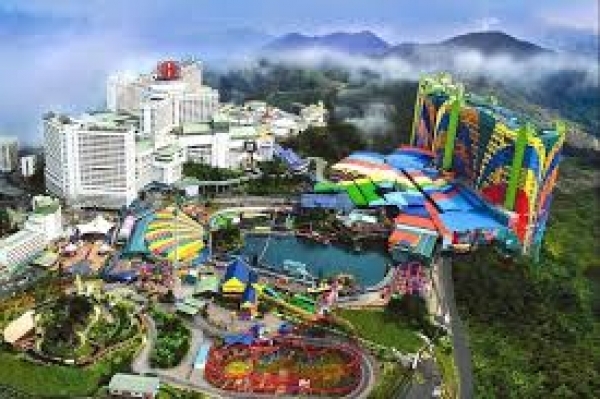 The opening of new attractions under its Genting Integrated Tourism Plan (GITP) has also contributed significantly to the increase in revenue. Genting Berhad reported a 17% increase in profit before tax from its leisure and hospitality business to RM1.9 billion, with Adjusted EBITDA for the segment up 21% to RM2.0 billion. Group-wide profit before tax was RM1.4 billion, down 5% on 1Q17 profit which had included proceeds from the disposal of Genting Singapore’s 50% interest in Landing Jeju Development Co. Ltd, operator of Korean IR Jeju Shinhwa World. Genting Berhad said its immediate focus remained on Japan via Genting Singapore as it awaits passage of the IR Implementation Bill, as well as on improving amenities at RWG. “The ongoing development of the GITP at RWG remains the primary focus of the Genting Malaysia Group as it prepares to roll out the new Skytropolis indoor theme park and the highly anticipated Twentieth Century Fox World Theme Park,” the company said.